Come join us in the Ani-TAY Café: your stop for discussing all things anime, manga, visual novels, and anything Japan. This week the Café is discussing source material and if you've ever read them because of the anime. Come by and talk about everything with us. 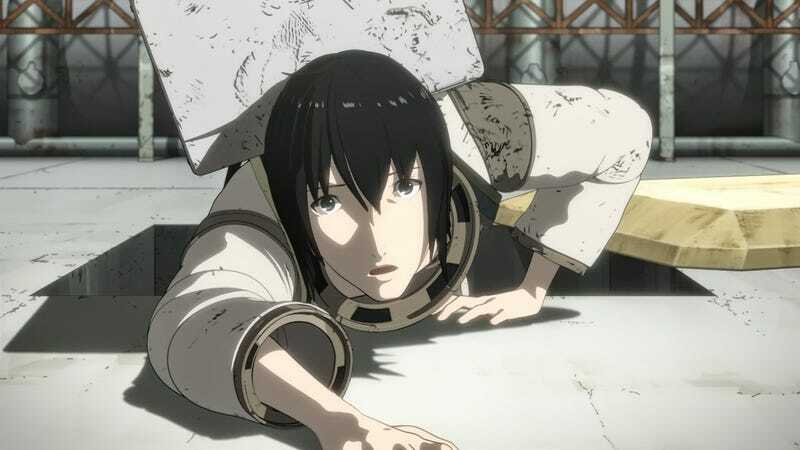 Header is a Knights of Sidonia screengrab. Look at all that Ani-TAY Stuff! Tenchi Muyo! Planned to Return This October! Ani-TAY Blip: Anyone interested in Japanese Newtype? Last night I started reading the Knights of Sidonia manga before I've even started the anime (due to Netflix not simulcasting it). It's pretty much a first for me to tackle the source material before the anime, but I'm sure it won't be the last. Truth be told, this is the second manga I've started since I got back to my Otaku habits in the last year and it's only my ~6th that I've read in all, so it's still a bit difficult to get into the mindset of reading it. It's still relatively "new" to me. Similarly, I've also been reading the Spice and Wolf light novel series in my spare time after watching the Spice and Wolf anime series. Yeah, it's not a terribly inspired topic, but it is an interesting one for some. Have you ever read the source material because of an anime you watched or are anticipating? If so, why did you do it?